Flavored Whipped Cream - A recipe from Savor California, the online showcase for extraordinary gourmet foods and beverages from California. 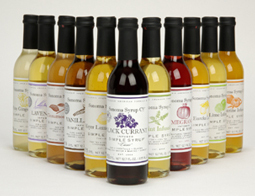 As you are whipping the cream, drizzle your favorite flavor of Sonoma Syrup into the cream. Top an espresso drink, milk shake, or dessert.